Separation using vibratory screens relies on two general principals, probability and stratification. Stratification of particles by size occurs as the bed of material on a vibratory machine is put into flight according to the specific micro-throw characteristics of the machine. The momentum of the larger particles with greater mass carry them to the top of the material bed, while the smaller, lighter particles migrate to the bottom of the bed adjacent to the screen deck. 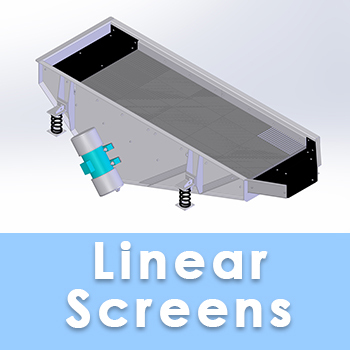 Sizing or classifying screens are designed to separate materials where the particle size of the material targeted for separation is close to the opening size of the screen deck, and where the screening process is meant to have a certain degree of accuracy. In these cases, designing for stratification and probability is exacting. 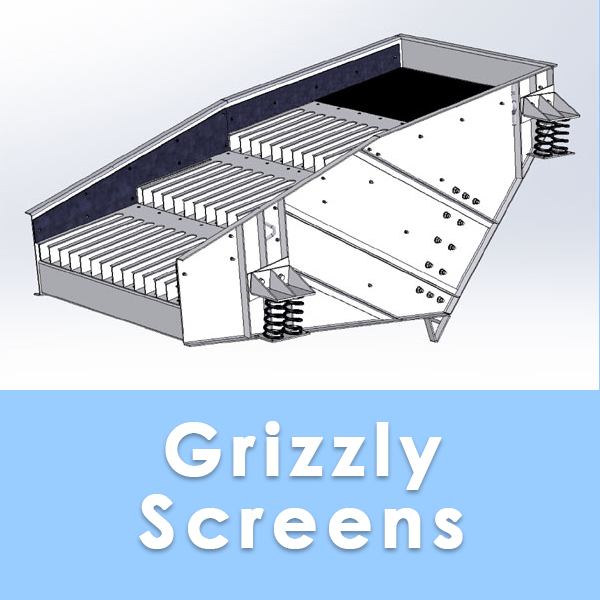 Scalping, safety or primary screens are designed to separate materials where the opening size of the screen deck is significantly larger than the material particle size targeted for separation. 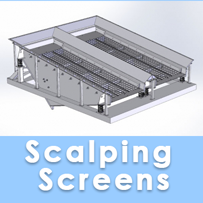 Although design for stratification and probability is important, accuracy of the screening process for scalping, safety or primary screens is generally not a primary concern.